Udin from Cimaja, South Sukabumi, always able to solve the village’s problems with the solution out of the box. This makes Udin become an idol in the school, especially among his friends, Jeki, Ucup and Inong. Udin has a new “opponent” when Suri, the girl from Jakarta, moves to the school. Suri is intelligent and has a myriad of achievements. She was suffering from brain cancer, but remains optimistic. She is determined to realize the dreams of others by regularly holding contest. 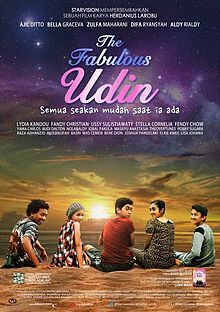 Suri’s different style from the others makes Udin secretly fall in love, despite the fact that Inong also loves Udin. Suri’s joining in the groups, Udin’s teams is increasingly solid to resolve the problems: a case of attempted suicide, a teacher who bullies pupils in the school, to the mental disorder. But how clever is Udin, he is powerless to deal with the will of God for Suri.